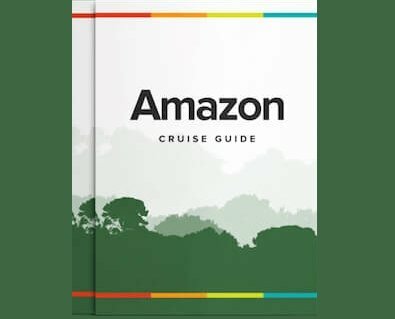 Is Peru the Best Amazon Cruise Destination? When people think of the Amazon rainforest, its mighty river and opportunities for cruises they usually think of Brazil. This is understandable given that 60% of this vast ecosystem is found within its borders. But Peru is also a prime destination for those wanting to experience the beauty and biodiversity of the jungle, and in many ways offers some incredible plus points that make it a more than worthy competitor to any Brazilian-based Amazon experience. Whilst 17% of the Amazon’s total area is found in Peru, the rainforest actually covers well over half of this country’s land surface. What’s more, much of it remains completely wild, unspoilt and marked by an astonishing array of flora and fauna. Peru is home to the Amazon’s headwaters, and it is commonly said that the further upstream you travel, the more biodiversity you will encounter. Whereas the sheer scale of the river in Brazil is truly impressive, the low-lying portion of the Amazon arguably harbours fewer species than its narrower sections further upstream, making Peru a prime choice for wildlife enthusiasts. The remoteness of the Peruvian Amazon also makes it a great destination for those wanting to visit areas relatively untouched by human settlement, where you’re more likely to encounter larger and rarer animals such as monkeys and jaguars. Peru is also a superb choice if you’re interested in cultural encounters with the many traditional indigenous communities that reside in this part of the Amazon. In the vast area of jungle that covers Peru’s north-eastern region, there are two popular cruising options. The first is to start in Iquitos and visit the Allpahuayo Mishana National Reserve situated along the Nanay river, only 14 kilometres from the city. Another highly recommended option is to board a river boat from Nauta, approximately 80 kilometers to the south of Iquitos, which will take you further south into the pristine Pacaya Samiria National Reserve. If all this has piqued your interest, then read on to learn more about what makes Peru the ultimate Amazon river cruising destination. This vast and pristine tract of jungle, which spans over 20,000 square kilometres (5 million acres), is one of the prime reasons to come to the Peruvian Amazon. It’s famous for its flooded forest, giving rise to the nickname “Jungle of Mirrors”, and virtually unmatched in terms of opportunities for wildlife viewing. Registering some of the Amazon’s highest levels of biodiversity, you’re guaranteed to spot a wide variety of animals and birdlife, including many of the jungle’s most iconic species, from river dolphins, moneys, and macaws, to exotic birds, caimans, and plenty more. River cruises heading to Pacaya Samiria depart from Nauta, a 90-minute drive from Iquitos. Cruise options are generally available for anywhere between 3 to 8 days, and you can select your desired level of comfort and luxury. On our cruises, you’ll likely journey down one or both of the Marañón and Ucayali Rivers, headwaters of the Amazon, taking excursions on comfortable skiffs that will enable you to explore smaller tributaries and waterlily-filled lagoons, and to get up close to the wildlife. There’ll also be the chance to take part in cultural visits to learn about the traditions of the local communities who reside in the area. Fancy journeying deep into the heart of one of the wildest, most remote places on Earth, all whilst retaining the highest level in service and creature comforts? This is possible in Peru, with the Aqua Amazon, Aria Amazon and Delfin I & II riverboats. All of these offer exceptional luxury cruising experiences that effortlessly blend unparalleled comfort with deep immersion in the beautiful natural surroundings. Aboard these vessels you can expect handsomely-appointed cabins with personal balconies and panoramic windows; inviting sun decks equipped with plunge pool, jacuzzi, and hammocks on some; spacious lounges and dining areas; as well as access to some of the Amazon’s top guides. You’ll also be treated to outstanding cuisine, featuring delicious meat, fish, vegetable and sweet dishes inspired by the ingredients and flavours of the forest. Rates typically include all meals, a selection of drinks, transfers and a variety of exciting excursions, from piranha fishing to swimming with pink dolphins. Learn more about our luxury Amazon river cruises, the vast majority of which service the Peruvian portion of the Amazon. A final point worth highlighting is the relative ease of accessing the Peruvian rainforest from other parts of the country. The Amazon is a short flight from both Lima and Cusco, making it convenient to combine multiple and varied destinations into a relatively compact itinerary – perfect for those on a tight schedule or who don’t want to spend too much of their time travelling. In theory, you could well be in the high Andes one day, and in the depths of the jungle a mere couple of days later. The Amazon is only one amongst many of Peru’s prime attractions, so it’s definitely worth combining a cruise with visits to the likes of Cusco, The Sacred Valley and Machu Picchu. Ultimately, every Amazonian destination has its own unique merits and attractions. What’s certain is that whichever country, port city or cruise you end up picking, you’re guaranteed to have an unbelievable adventure exploring this unique ecosystem in all its splendid beauty and diversity. For more information about booking an Amazon River cruise in Peru, please contact us.